I did it! I lead a very successful conversation at the School Librarian Connection conference in Prague over the last weekend. I was sharing our school Human Library experiences. The presentation was very well received inspiring other librarians and teacher to apply this method at their schools and libraries. 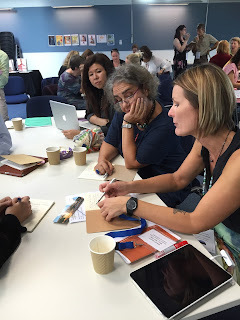 Right from the beginning I saw the light being turned on in the audience's minds making connections to their libraries and events, on how to host a Human library at their schools. I hope I spread the concept of Human library, a way to share our stories and learn from each other well forward. Many colleagues approached me asking about the Human library as they were unable to attend the session but had heard good reviews and comments. I gave mini presentations and led personal conversations about the Human library throughout the conference weekend. I am very pleased that my presentation was reference during the following days. 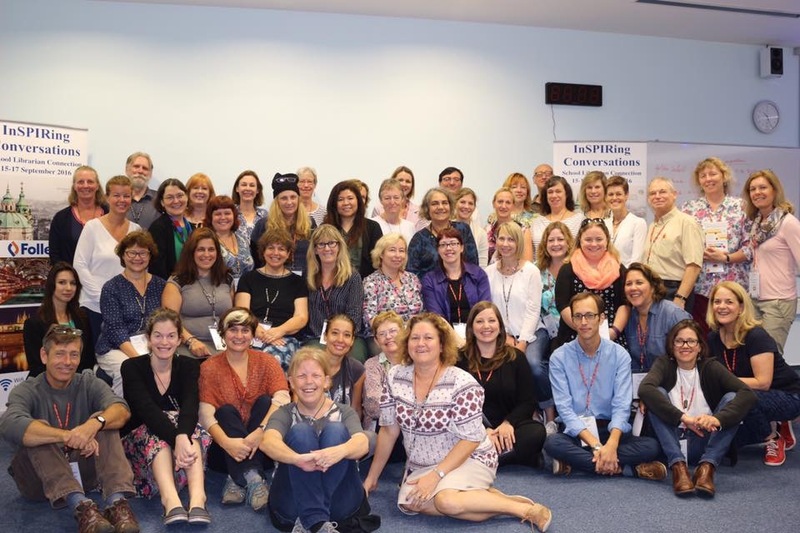 I am so glad that the School Librarian Connections organisation, a renowned company based in Hong Kong decided to host their conference in Europe (for the very first time!) 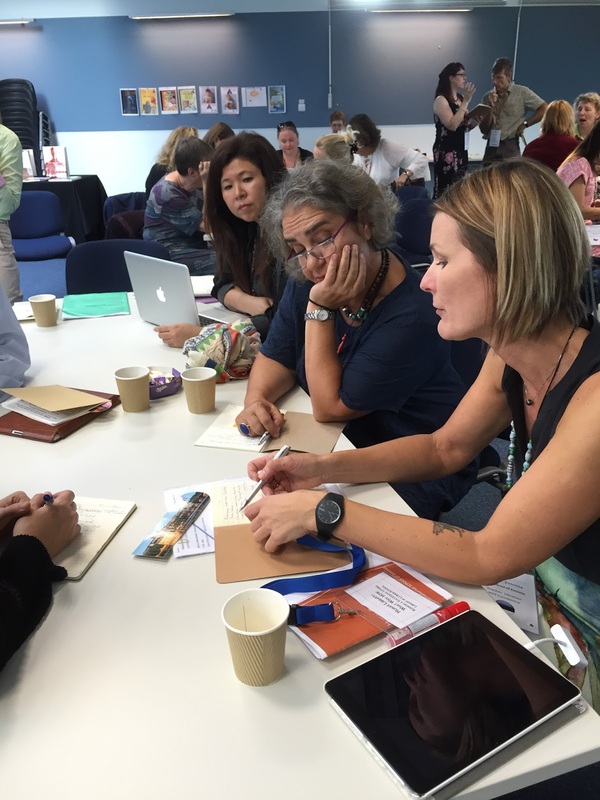 bringing together a diverse group of librarians, teachers and educators for shared learning. The pre-conference workshops were lead by the notorious library experts in their respective fields. John Royce presenting on academic writing, citation and referencing. 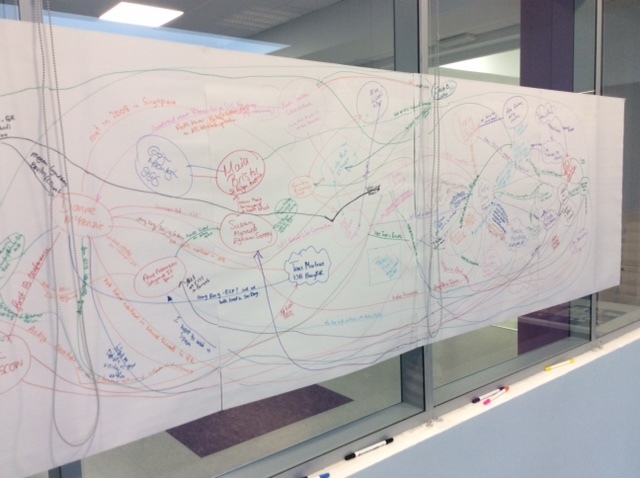 Katie Day on illuminating research: making the invisible visible in the research process. And last but not least Dianne McKenzie presenting on understanding and working with Information literacy /Approaches to Learning skills. As a MYP candidate school librarian and the MYP Coordinator it was highly useful discussing and studying this topic, seeing how the librarians are the key players in implementing the skills into teaching and learning. Being able to have conversations with these experts who are actually real, warm and funny people was one of my greatest takeaways, not to mention all other wonderful librarians and teachers I met during this conference. Having a face connected to a name that one turns for advice on the ECIS librarians forum or who's blog one is following for ideas and latest advances was a wonderful opportunity. I truly recommend you signing up for a professional development conference. Not only signing up but also presenting. You make a difference!